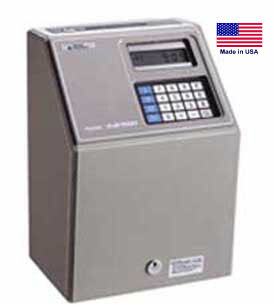 Rugged self-totaling time clock. Includes lifetime technical support. Amano MJR7000 punch clock. This is the best self-totaling time clock, ever. Top Seller! Most Reliable, Most Versitile. - and from Amano in New Jersey, U.S.A. Automatically calculates daily and weekly hours. Need higher capacity? See the Amano MJR8000 - 250 employees. Look closely. SAME PUNCHES, different results. This is 1/4 hour rounding. 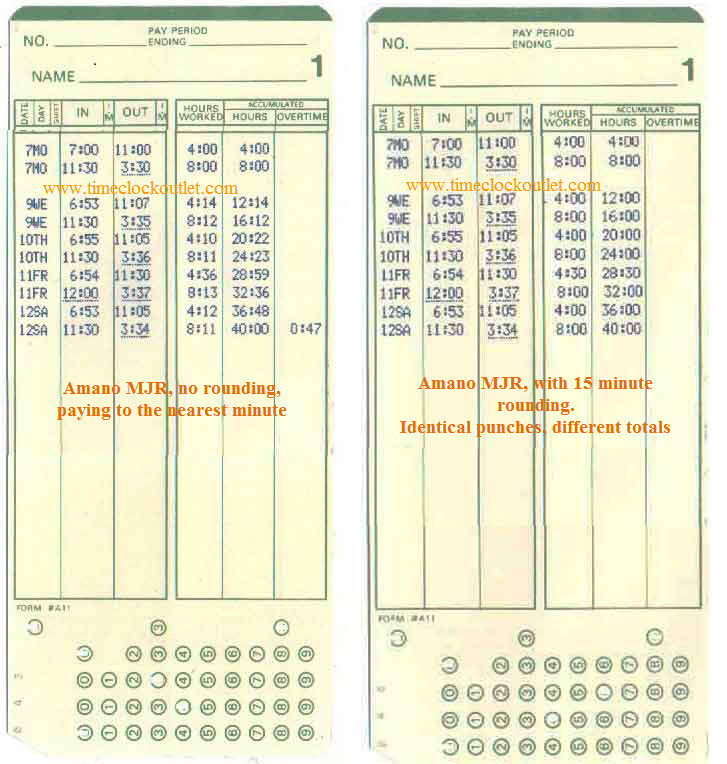 See how they differ in the total minutes paid, and in how easy it is to read the cards. We know how to program them. Lifetime technical support is included.